As the kitchen is the hub of your home, your kitchen lighting design is extremely important and once implemented, the kitchen lights must provide adequate and functional lighting in all the areas where you will need it. The kitchen is the central gathering point where family and friends meet. 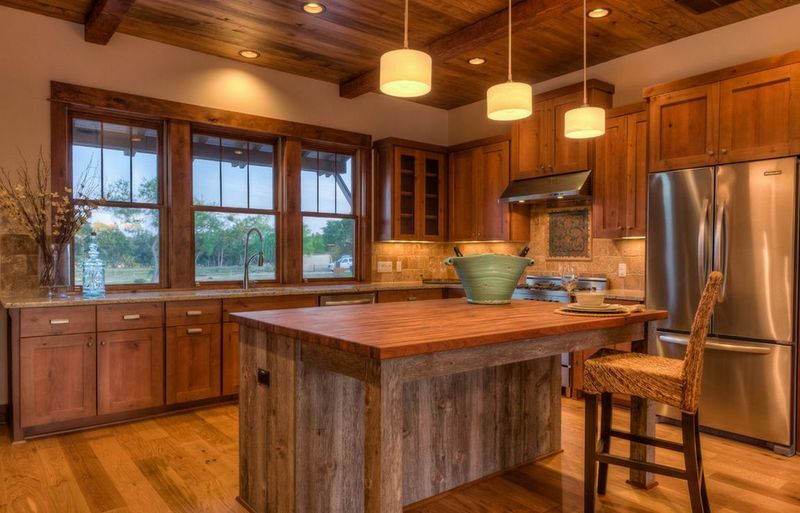 Therefor your kitchen lighting should be versatile, yet functional. creating the right atmosphere for when you are entertaining. Selecting the right kitchen lighting is a relative simple process, but it is so important to do your kitchen lighting design well, as the right type of lighting will transform the way you use your kitchen. Your kitchen lighting absolutely must contribute to make the daily activities in there a pleasurable event for everyone. In eras gone by, the single, lonely ceiling light might have done the trick, but in todays kitchen this will not do at all. 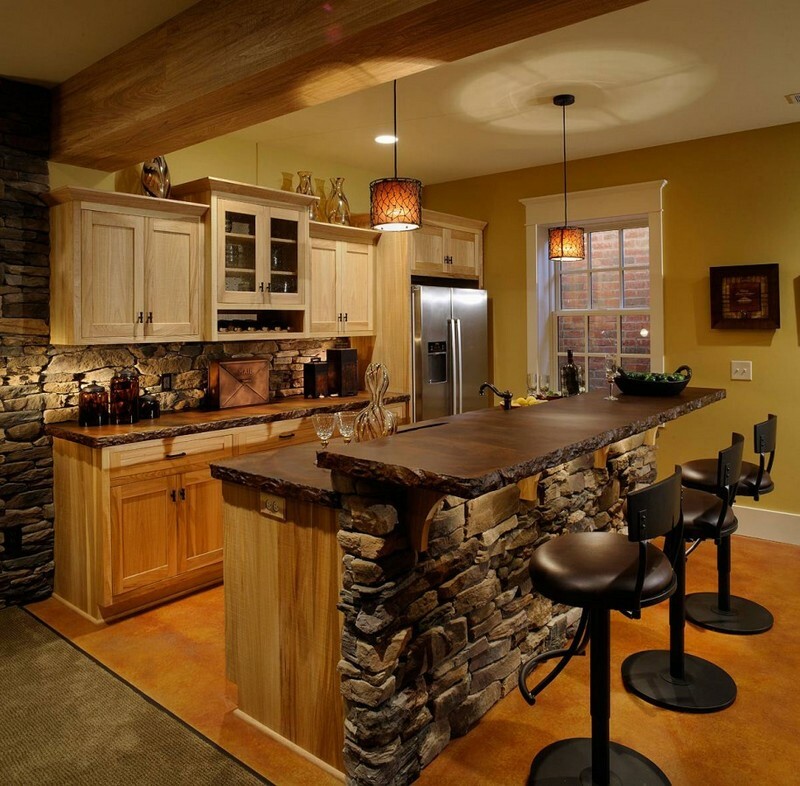 The function of the kitchen and kitchen design in general, have changed drastically over the years. Today, we will use many different techniques to "light up the kitchen," so to speak. The area where you wash up, in other words at the sink. These places are obviously not the only spaces that need lighting, but the rest we can group under general or ambient lighting. Lets start here, as this is the general lighting used for the complete kitchen. For this I will suggest that you consider low energy, ceiling-hung light fixtures fitted with dimmer switches. This means that for normal family activities there will be enough light, but for entertaining, you can dim the lights to create a more intimate atmosphere. Remember; when you do your kitchen lighting design, you must consider the amount of space that needs to be illuminated in order to know how many fixtures will be required. With this type of lighting you want to illuminate specific areas so that you can work there. This can be either where you prepare the meal, or it can be at the sink or at the stove. This kind of lighting is normally achieved with light sources using higher wattage bulbs and where the light source is more focused. It is very irritating if you want to work, but the lighting is not adequate, or you work in your own shadow all the time. 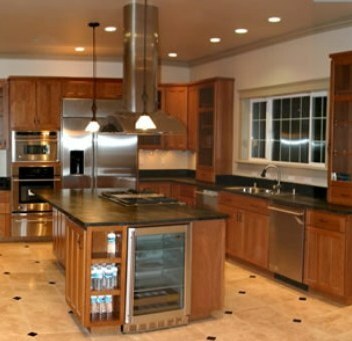 - spotlights above the sink and stove. Task lighting can also be fitted in pantries, cabinets or inside dark drawers. 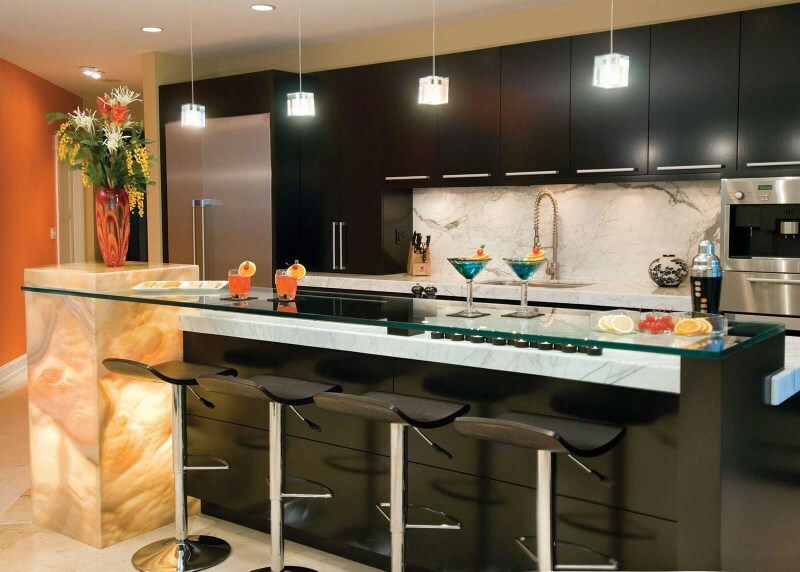 The above lighting design techniques cover the more practical areas in the kitchen, but when you do your kitchen lighting design, you also want to consider more aesthetic fixtures or if you want to create special intimate areas. Decorative pendant lights are really a good choice to light your kitchen island with. It throws beautiful light there where you need it and it also add style to your kitchen. A combination of pendant lights above your kitchen island, fitted with a dimmer switch, makes the area so much more versatile. Now the kids can do homework here in the afternoons, or you can prepare the evening meal, but you can also lower the intensity to create an intimate atmosphere when you enjoy your meal or entertain your friends. Another really beautiful decorative type of lighting is low voltage track lights. These are easy to install and it gives an interesting look to your kitchen. These are very flexible, as you can add more lights, or remove them again as your needs change. They can also be hand-bend to light up specific features or objects in your kitchen. Just remember to decide beforehand what size of transformer you want to install as this will limit the amount of lights you can fit to the tracks. Decorative lighting gives your kitchen a lot of sophistication that really adds value to the kitchen and therefor your home. Down lighting is very energy efficient and have quite a long lamp life, but I personally only like to install them under kitchen cabinets as task lighting, as they minimise glare. When you do your kitchen lighting design, it is always wise to ask your local lighting consultant for advice, as they should have some useful inputs, but it is important to listen objectively to their advice. Chose the styles that you like, and that will add real value to your home. Select the highest quality lighting that you can afford. Good quality and proper design in the end is what adds real value to your home and in that is what we want to achieve. Always!